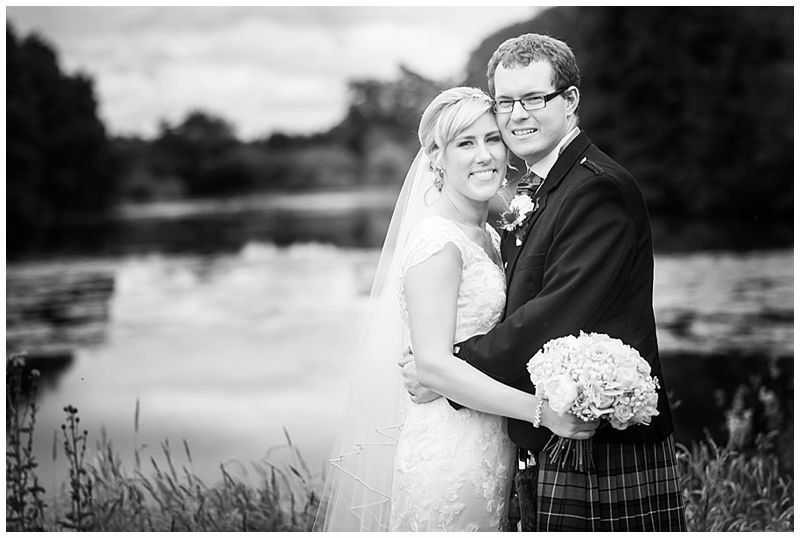 Morven & Andrew's Dalmahoy Wedding was one of my favourite weddings of the year. It was great to catch up with some familiar faces and really was a privilage to be asked to shoot another family wedding. 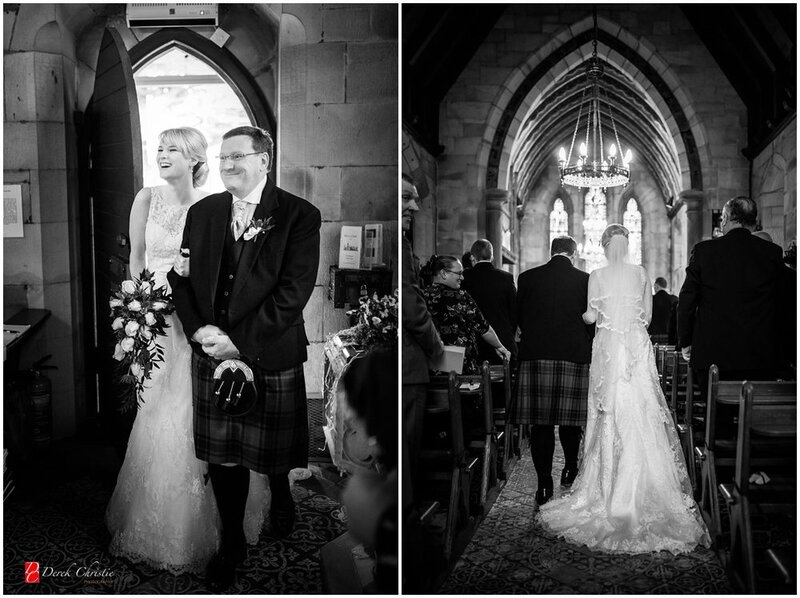 Morven and Andrew were married at Carrickknowe Church then headed off to the stunning Dalmahoy Golf & Country Club. 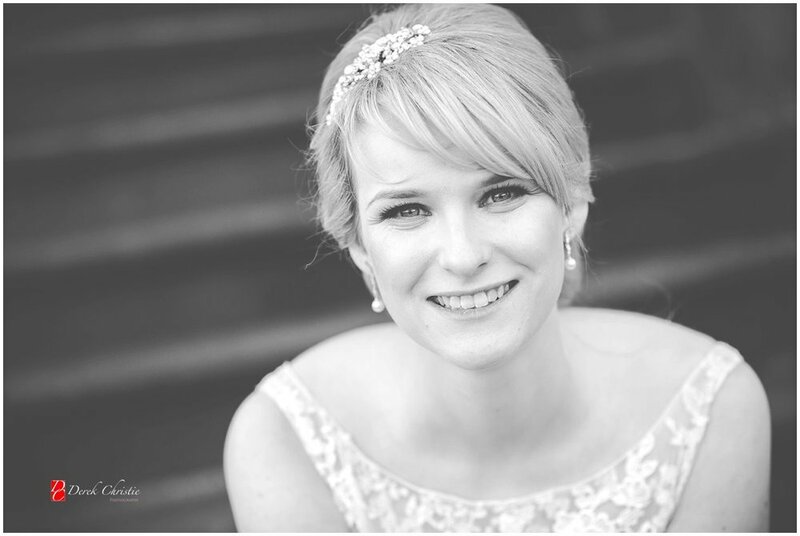 Laura and Graham's wedding photography story begins in Luss by Loch Lomond. Almost 12 months to the day before their wedding at Dalmahoy we met outside the Loch Lomond Arms Hotel for their engagement shoot. It was also my wife's birthday so asking Donna to join us and booking in for a lovely meal at the Loch lomond Arms seemed a great plan. I spent an hour walking around beautiful Luss with Laura & Graham taking pictures by the banks of Loch Lomond then met up with Donna who'd at at least a two glass of wine head start on me. Gorgeous meal though! 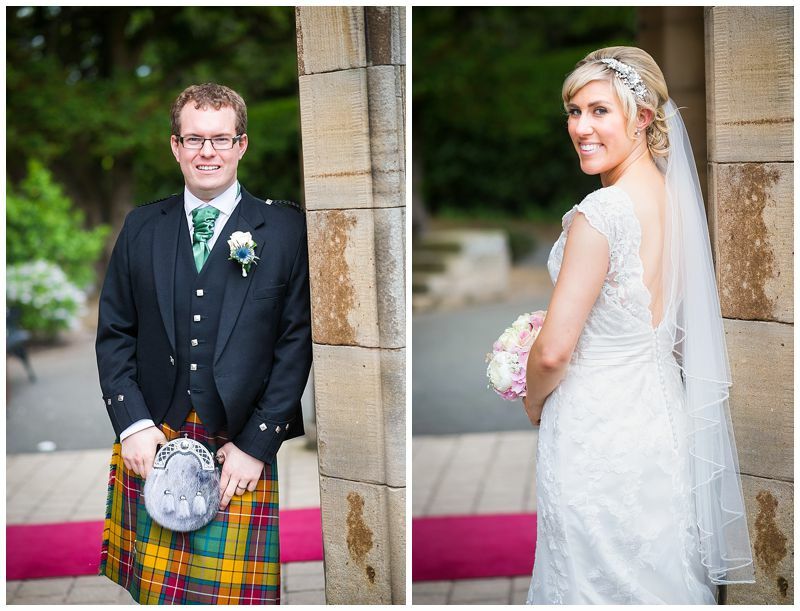 Fast forward a year to the big day at Dalmahoy and it was perfect! Spring had sprung and even though the leaves hadn't yet made an appearance, it was relativley mild with some great light for shooting wedding pictures. 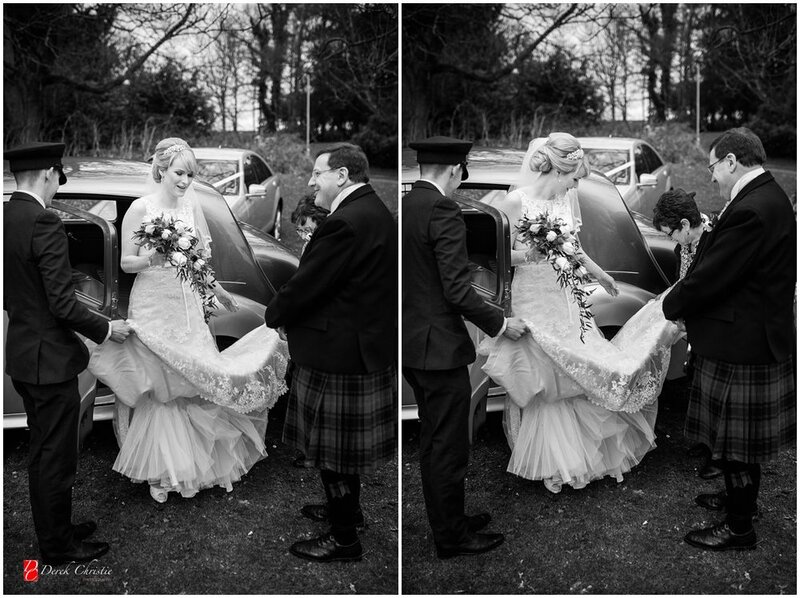 Laura was getting ready over in the west so I met up with Graham and the boys at St Mary's Church, just inside the grounds of Dalmahoy, for a few photos before the rest of the wedding guests arrived. The day was really memorable for me because after the ceremony and the family group shots the light was just stunning. The sun was peeking through the storm clouds giving a really dramatic look to the shots down by the loch. Some of my fave shots of the year so far! 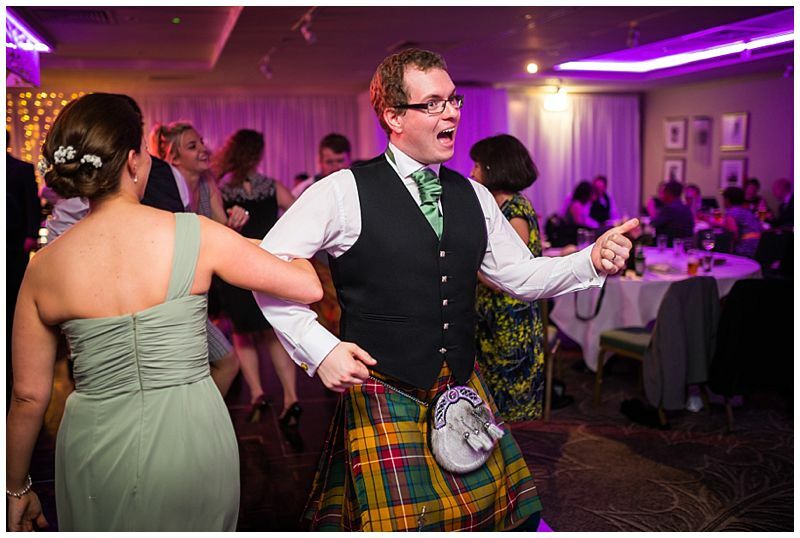 Finally, some of you guys had some wicked moves on that dancefloor! That's all I'm saying. 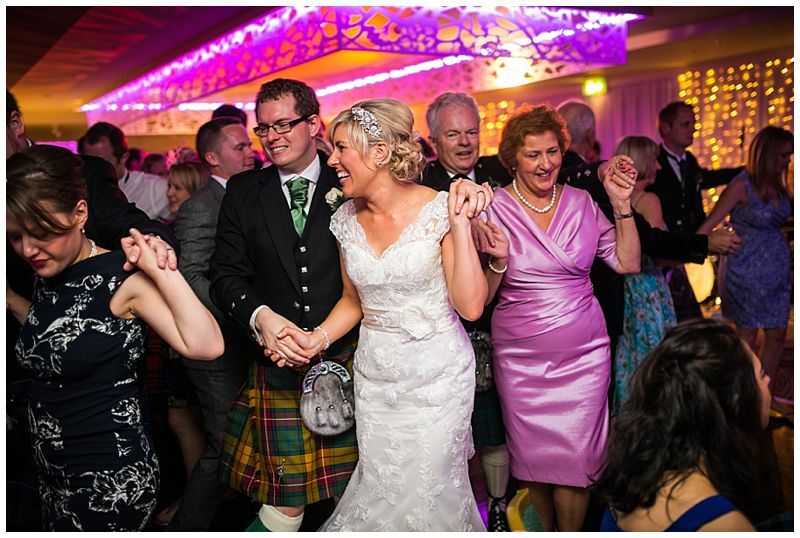 Ceri & Martin's wedding at Dalmahoy was a fantastic, fun but laid back day with wonderful friends and family. The vibe was very much relaxed and informal. I headed up to the room to meet with Ceri for a few getting ready shots before heading back downstairs to catch the arrival of Martin and the rest of the groomsmen. By now all the guests were starting to arrive and head through to the cocktail bar to enjoy drinks before the ceremony. The ceremony was lovely, personal with little Isla on hand to give mum and dad a little encouragement during the ceremony. It was lovely to see such a close family occasion with little isla invloved every step of the way. Even helping Ceri and Martin sign the register. The rest of the day I was just a guest at the wedding with a couple of big cameras to be honest. Everyone was chatting away, having a drink and made me feel so welcome. After the group shots we had some time together for the bride and groom portraits by the main building and on the beautiful feature balcony on the top floor. 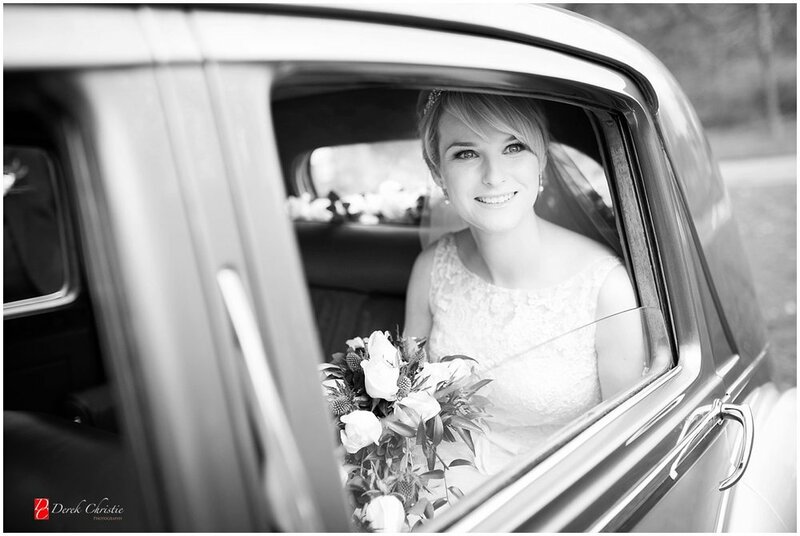 Ceri, Martin and Isla, thank you all so much for having me along to your special day. It really was perfect! Yet another wonderful wedding with two fantastic families. One of those days when you are heading home and you think to yourself. "I love my job!." 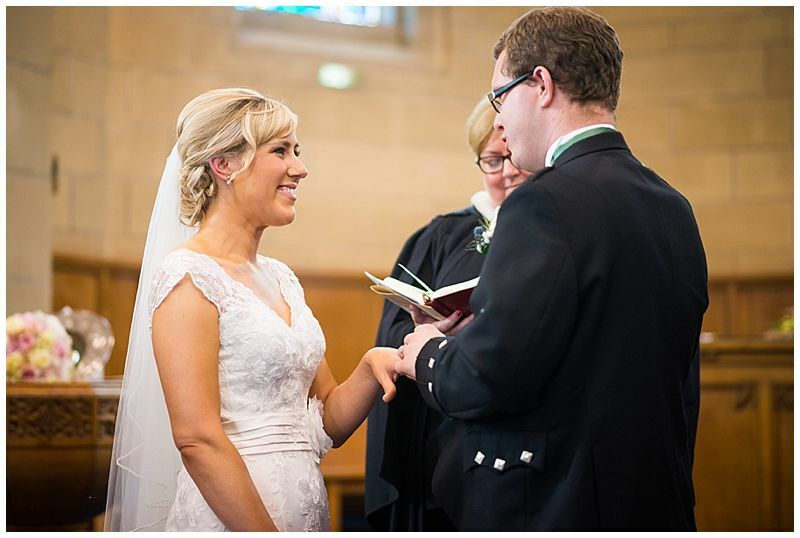 First stop for Tasha & Josh's wedding was Boots at the Gyle Shopping Centre where Danielle and the rest of the staff did an amazing job on make-up. Tasha was then getting ready for the big day at her Mum & Dad's house in the west of Edinburgh while Josh and the boys were getting suited and booted at the Premier In at Dregorn. It's only a 5 minute dash between the two locations so it was great to be able to get shots of Tasha getting ready and Josh putting on his uniform this special day. 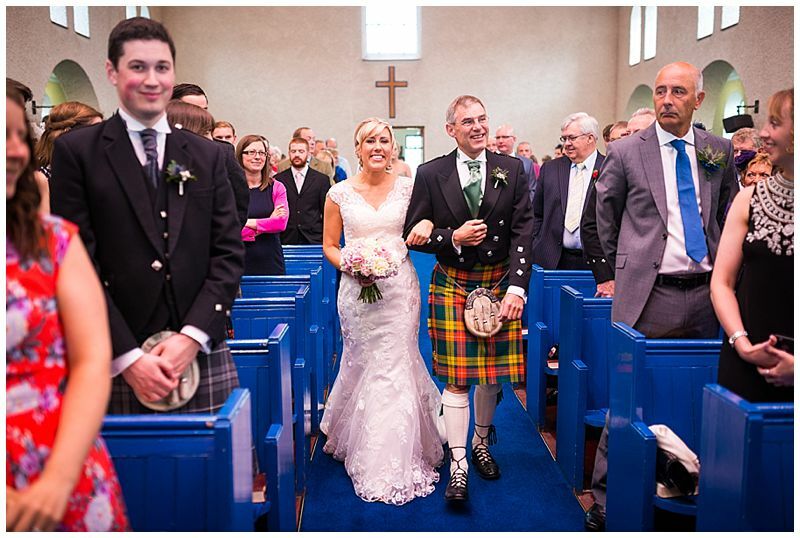 The ceremony was to take place at St Mary's Church in the grounds of Dalmahoy and a huge thank you to Derek the minister for letting me do my little trick of getting the confetti shot, quicky and more importantly in a fun way without holding everyone up. It's a little different from tradition but works really well to avoid that bottle neck at the front door of the church. Dalmahoy welcomed the guests with champagne and canopes as they at the main house. We grabbed a quick group shot on the feature staircase first before some of the guests checked in for the night. I usually arrange the group shots first but we arranged in advance on this occasion to photograph Tasha & Josh first so by the time we were finished, the guests had all checked in and had some time to enjoy chatting and mingling with other guests. 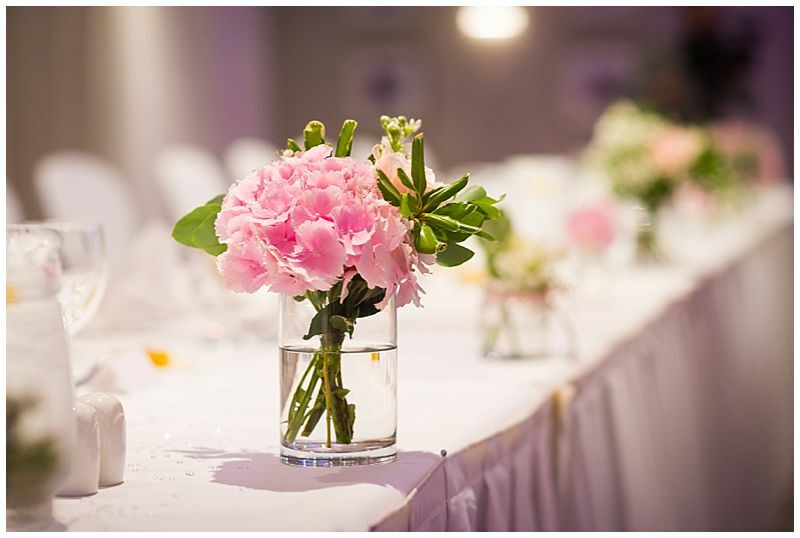 It's important to me that the bride and groom mingle and have the opportunity to enjoy the day they have meticulously planned for over a year too. 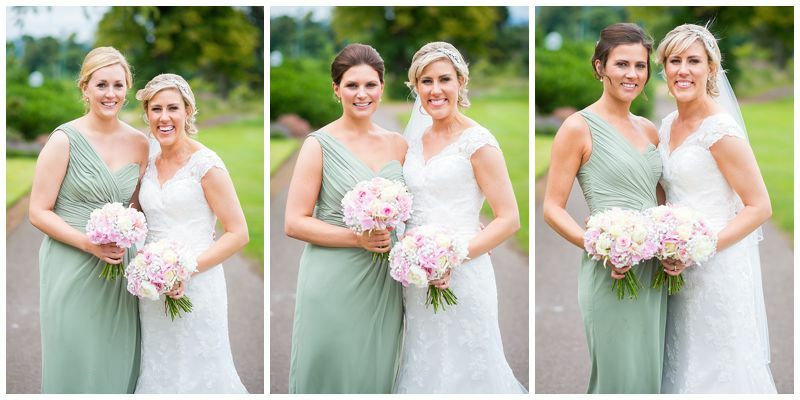 I always have a schedule of events with me so we had time for some smoozing before starting the family shots. After dinner Tasha and Josh cut the cake and had their first dance followed quickly by the best Father & Daughter dance I've ever seen. They certainly had us all fooled but what a brilliant laugh it was. You guys can move... seriously!! 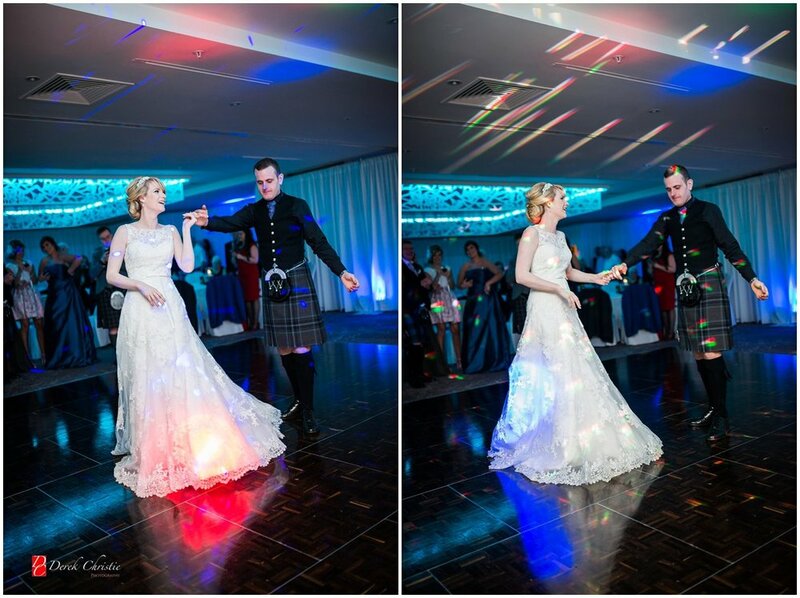 Yet another favourite from 2014 and not only a wonderful couple but two brilliant familes too.